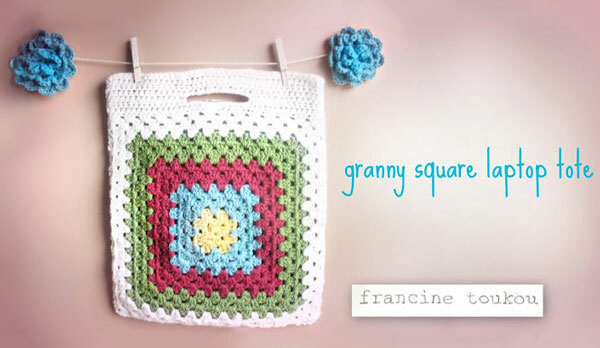 I MADE THIS LAPTOP BAG USING THE GRANNY SQUARE TOTE PATTERN FROM MY BOOK “CROCHET CHIC”. INSTEAD OF USING THE CURVED WOODEN HANDLES THAT ARE IN THE PATTERN, I ADDED A FEW ROWS OF HALF DOUBLE CROCHET STITCHES. I ALSO LINED IT WITH FELT.